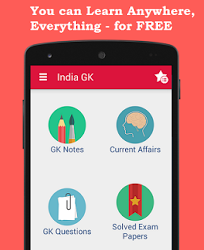 7, 8 March 2016 Current Affairs MCQs, Quiz, Questions: Current Affairs for March 2016, Daily Multiple Choice Questions (MCQs) for India GK, World GK and current affairs with Collection of daily objective type Question by www.Indiagk.net based on General Knowledge (GK) and General Science (GS) Questions for UPSC, State PSC, SSC, Police exam, Railway exam, SBI, Bank PO, IBPC, SSC, LDC, UDC, Army, Airforce, Navy, Coast Guard, Bank Clerk, TET and all entrance examination with current affairs News, Multiple Choice Questions (MCQs) available on Website www.IndiaGK.net and Android Apps with daily updates:. Malayalam actor Kalabhavan Mani passes away on 6th March 2016. He was popular star of which cinema ? Admiral RK Dhowan Chief of the Naval Staff is on Visit to which county from 7th to 10th March 2016 ? Ray Tomlinson who passes away recently was the inventor of ----- ? Railways on 8th March appoints who as consultant for advertising at stations and trains? Happening Haryana Global Investors Summit-2016 was held in which city ? Finance Minister on 8th March announced withdrawal of which tax proposal after protest across county ?